Out of Town Patients | Ary Krau, M.D. Dr. Krau sees many patients from around the United States and abroad, and his staff is happy to assist you if you are traveling to Miami from outside of South Florida. 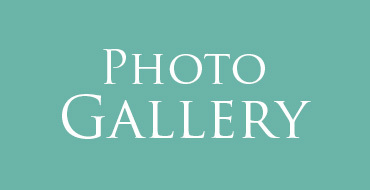 There are several great hotels within short distance of our plastic surgery center. Aventura Limousine can provide you with standard or luxury limo transportation to and from both the Miami International and Ft Lauderdale Airports, and is available during your stay as well. Don’t hesitate to call on us for our expertise in locating the best hotel for your trip. We live here year-round, so we know the most wonderful places to stay, where to eat, and how to make your time with us pleasant one. If we may offer suggestions or help you in any way to plan your Miami visit please call our office at (305)861-6881 or complete our virtual consultation form. One of Florida’s finest resort areas, Bal Harbor attracts the rich and famous from around the world, while maintaining its small-town charm. Bal Harbor is the perfect pearl within the oyster of Greater Miami. Balmy days, sunny beaches, a peaceful atmosphere – these are but a few of its many attractions. Virtually hundreds of cultural and recreational activities are at Bal Harbor’s doorstep. You can enjoy Broadway shows, the opera, and world-class museums and art galleries. If you love the water, there’s snorkeling, windsurfing, swimming and fishing. Dozens of championship golf courses are nearby. A walking and jogging path gracefully winds along Bal Harbor’s lushly landscaped beach. Every inch of Bal Harbor is paradise, from palm-lined Collins Avenue to the famed Bal Harbor Shops, a unique collection of restaurants and retail shops. There are a variety of wonderful restaurants within a short walk of Dr. Krau’s office, covering Thai, Chinese, Italian, French, and American cuisines, in a broad range of prices. If you visit Dr. Ary Krau from out of town for cosmetic treatment, it is recommended that you stay in or around Bal Harbor during your initial recovery instead of traveling home. Being close to the doctor and our staff is the safest, most convenient option. Your recovery is important to the outcome of your surgery, so it’s important to treat yourself right during this time. It’s very convenient to stay in Bal Harbor after your surgery. Instead of worrying about making a long drive or flight home, you can spend the time relaxing and resting in a nearby hotel or our private recovery suite, looking at beautiful scenery and enjoying the nearby amenities. Also, having a peaceful, quiet stay instead of dealing with kids and pets at home is a wonderful way to jumpstart your healing and increase the chances of a complication-free recovery. You won’t be tempted to move around too much or chase after your children, which can disrupt your body’s healing process. Why Stay in Our Private Aftercare Recovery Suite? We have the perfect retreat for you immediately following your outpatient plastic surgery procedure at Dr. Krau’s practice. A common complaint by outpatient plastic surgery patients is that spouses or friends were not prepared to provide good recovery assistance. Busy households and hectic schedules make rest, relaxation and adherence to activity restrictions difficult. Patients without aftercare assistance may experience longer and more difficult recovery courses. Our private recovery suite is your home away from home. The key to amazing results from cosmetic surgery is a professionally guided post-operative recovery. Often overlooked, it is just as important as finding the right surgeon. 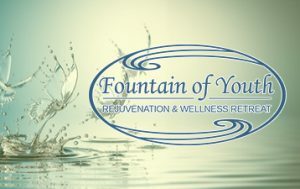 Fountain of Youth VIP Concierge with unlimited pampering brings tranquility and rejuvenation during your recovery period. With 24 hour nursing assistance, organic, gluten free and raw diet, including fr esh juicing and luxury accommodations and transportation, a stay with Fountain of Youth is an unforgettable recovery experience. In the privacy of your own luxurious room, their nurses and staff will provide personalized care to re-energize your body and soul, promoting positive energy, making you feel beautiful, relaxed, rejuvenated and happy to show your new self to the world. It’s extremely important that you feel safe and well cared for during your initial recovery from surgery. For your safety and peace of mind, we have a nurse on-call at all hours of the day and night. The nurse can speak with you at any time if you want to review your post-operative instructions or ask a question about a side effect, or if you need a message relayed to the doctor. Having a nurse available gives our patients the confidence and security they need during what can be unfamiliar circumstances. Dr. Krau will want to follow up with you in person several times after your surgery to monitor your recovery and check how you are healing. If you stay close by, these follow-up visits are very convenient, making the entire experience a breeze. Complications are rare, but if you do experience a troublesome side effect, you can be at Dr. Krau’s office at a moment’s notice. Your energy levels might be lower than normal and you might have limited range of motion, so it’s important that you can get what you need quickly and conveniently. There are a variety of restaurants nearby that offer quick options and fine dining (whatever suits your taste at the moment!). And, there are shops close by in case you need to pick up any essentials that you forgot to pack or locate some entertainment or activity. In case you don’t quite feel like venturing outside in the days following your operation, you are conveniently located and have full access to food delivery from a local restaurant, or room service from your hotel. Have nutritious and delicious meals delivered right to your door without worrying about having to do the dishes. The Sun Harbour Boutique Hotel is designed to resemble an Italian-style villa. It offers one- and two-bedroom suites with full kitchens. If you travel to Bal Harbor with a family member or friend and need more space, the Sun Harbour Boutique Hotel is a great option. The location is convenient to Dr. Krau’s office and the hotel staff is extremely hospitable. Tucked in the heart of the world’s greatest cities, every TRYP Hotel is the hub of the city’s most happenin’ places… and is a-happenin’ place itself. Whether you are staying in our hotels in Australia, Germany or Brazil, our people with real local know-how will be there to help out. For your convenience we have provided an interactive map. Simply click on the image and provide your starting address for detailed driving instructions to our office. From 95 Take 125th street east to Bay Harbor Islands. About 5 miles. Cross bridge into Island and go two blocks. Office is on the second block on the east side of the street. Take A1A to 96th street and continue west. Cross over bridge on the intercoastal and go two blocks. Office is on the second block on the west side of the street. Aventura Limousine’s extensive fleet features the latest models of customized luxury vehicles for our clients comfort, style and safety.